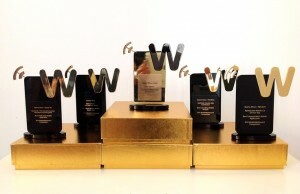 The Web Marketing Association is pleased to announce the winners its seventh annual international MobileWebAward competition. This award program recognizes the individual and team achievements of Web professionals all over the world who create and maintain the best mobile Websites and the best mobile applications. 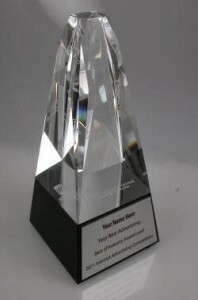 The complete list of winners for each of the 86 industries covered can be found at www.mobile-webaward.org. Milestone Internet Marketing won Best of Show Mobile Website for VIVE Hotel Waikiki. VIVE hotel Waikiki’s target audience is made up of leisure travelers, with heavy representation from Korea, Canada and Australia, and offer the very best value and location while still providing a stylish package. Milestone created a “true” mobile first website design that includes design is based on user intent and task completion, simple, clear, and easy to use Calls to Action, intuitive forms designed for small screens and other state of the art features. State Farm Insurance won Best of Show Mobile Application for State Farm Mobile App. By combining banking and insurance, the app takes on two of life’s biggest needs–and does it with simple ease. State Farm partnered with Y Media Labs to create a customer-centric design. The app lets customers deposit a check, pay their insurance bill, request roadside assistance, file and track claims, and much more. The app features many breakthrough innovations—like a photo damage estimator that lets drivers take a picture of their damaged vehicle which is then used to write an estimate; a claims chatbot to guide them through the claim filing process; proof of insurance cards available without even logging in; and a quoting process that allows for creative comparisons of policy options. TMV Group was named Top Interactive Agency for the 2018 MobileWebAwards competition. They received 6 best of industry awards: Best Food Industry Mobile Website, Best Automobile Mobile Website, Best Mobile Mobile Website, Best Beverage Mobile Website, Best Retail Mobile Website and Best Beverage Mobile Website. A complete list of winners can be found on the award program’s Website. The Best of Industry winners receive a statue reminiscent of a personal mobile device, it could be yesterday’s smart phone, today’s tablet, or tomorrow’s device. It is crafted of fine jet black crystal with the iconic “W” accent in 24kt plated gold and personalized with your award information. The award is entirely hand crafted by, Society Awards, the makers and designers of other notable award programs such as the Golden Globes, Emmys, MTV VMAs, and CLIOs to name a few, and presented in its own custom gift box. The 2018 MobileWebAwards are sponsored by the following leading organizations: PR.com, EContent Magazine, iContact, and Webmaster Radio. The Web Marketing Association thanks these companies for their commitment to the entire online marketing community.